Trent Rugby League (TRL) is one of the university's most successful clubs. Both Teams compete in BUCS leagues. Trent Rugby League is a friendly, sociable club where everybody is welcome. There are no trials so everybody is welcome to come and train and maybe progress into one of the teams. Trent Rugby League has two teams that compete in BUCS and are keen to introduce a development squad with the idea of adding a 3rd team into BUCS. All squads train together twice a week with both sessions taking place at Clifton Campus. 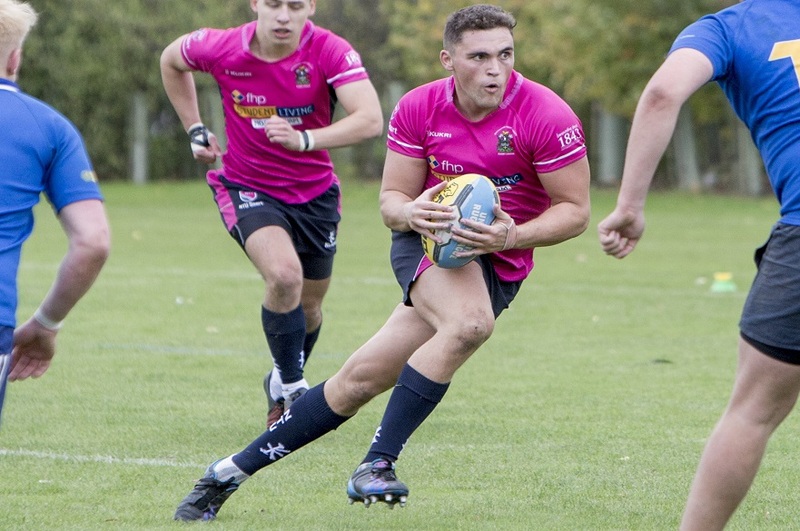 Rugby League Varsity (where we take on University of Nottingham) is one of the biggest events of the series, with neither side retaining the title for more than a year, it is one of the most competitive events in varsity. We have a strong connection with local side Nottingham Outlaws and have full use of their ground for second team varsities, friendlies, and other events. Our first team Lead Coach is David Ellis, he has a wealth of experience and knowledge of Rugby League, both as a player and a coach. Outlaws also send senior players to Trent for specialised coaching sessions with the players, further enhancing player progression. A squad of 20 is selected for the University’s S&C program giving them access to the HPC (high performance centre), a guided gym session every week with highly qualified coaches, free physio, extra speed and lifting sessions, and specialised one-to-one coaching. Trent Rugby League has two teams that compete in BUCS and are keen to introduce a development squad with the idea of adding a 3rd team into BUCS. The 1st team competing in Premier South, and the 2nd team compete in the Midlands’s 2A league. All Training takes place on Clifton Campus, with a mixture of sessions on the 3G pitch and one of the grass pitches. All training sessions are open to players of any ability, from beginners through to seasoned players. All sessions are well organised and are designed to improve players of all abilities. Trent Rugby League charge £50 sign-up fee, which covers the cost of coaching, equipment etc. Come along to a trial / taster session, these are announced on our social media channels.